That which moves, is still. Whoa. 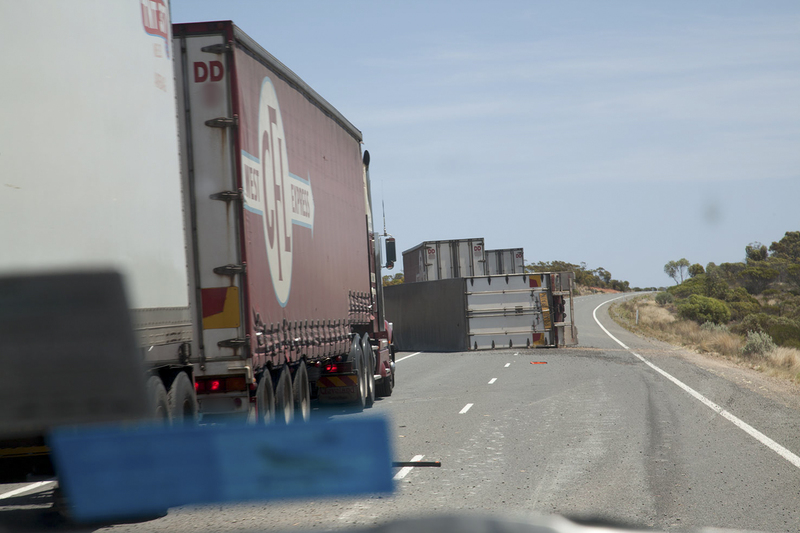 When a road train decides to lie down, some hours pass before a sky hook can return it to an upright position. The road is blocked and humour fades as travellers cook quietly in their vehicles, devoid of phone coverage, coming down from a roadhouse donut carbo-high, and realising they won’t make X that night. Fresh on the scene, we could see the driver in the company of other drivers, and all in hand, so we swept by, ahead of the authorities that would thwart the progress of those behind us. Captured by my intrepid co-driver, Canon ever at the ready. 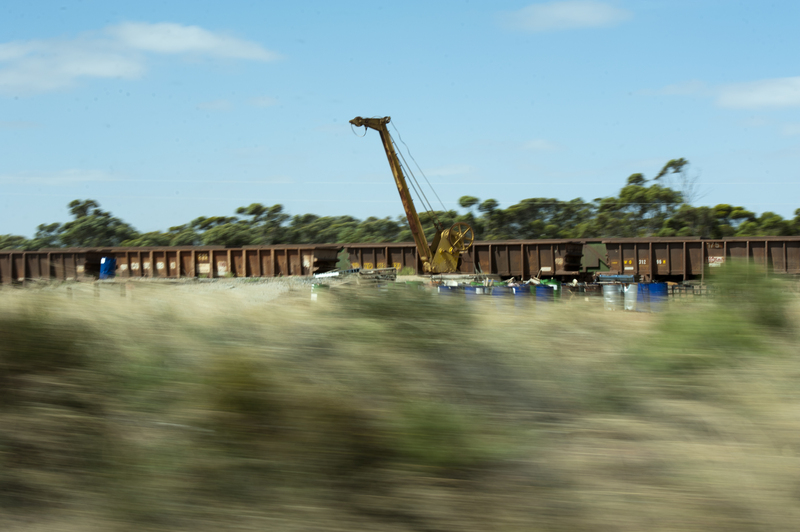 The meditative space of the Nullabor must end eventually, and thus you reach Norseman. When I passed through two years ago, I was struck by the feeling it was a town that kept things close to its chest. The wide country-town main street was empty. 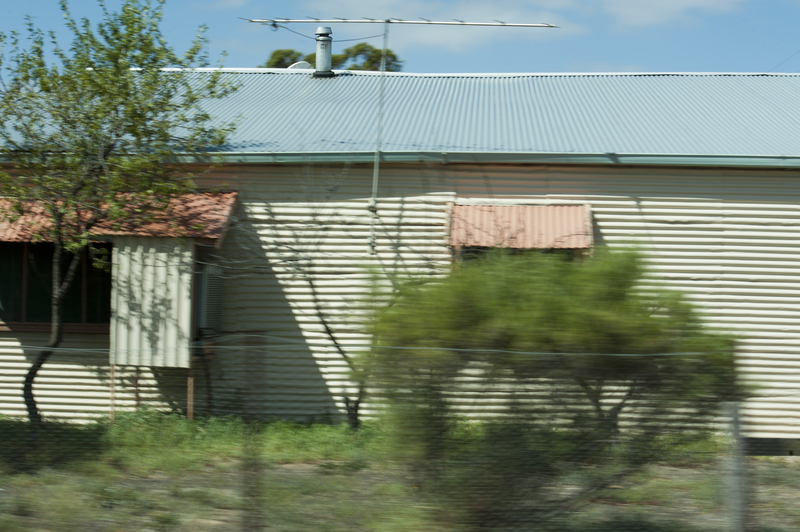 Windows cloaked in corrugated iron. The single cafe delivered a fresh and tasty salad sandwich from behind lace curtains. Two pre-school children walked barefoot, alone, down the street arguing over a two litre bottle of Coke, and the petrol station pump ticked over 12 litres more than my tank could physically hold. This time, it was Sunday, and the only things open were the petrol station, and the Visitors Information Centre (with the familiar security mesh on the windows). Foiled in our search for coffee and home baking, and keen to walkabout, we hit the Visitors Centre. Inside, homely handcrafts and brochures graced the walls and surfaces, while a spritely senior Centre volunteer battled with callers delayed for hours by the sleeping road train and demanding accommodation. The Country Womens’ Association interior completely at odds with the street vibe. Declaring a side trip to Esperance a new imperative, we set off for the coast, arriving at dusk to a biting 16 degrees, and whipping ourselves into an excited frenzy over visiting Cape Le Grande the next day.